Hi guys! 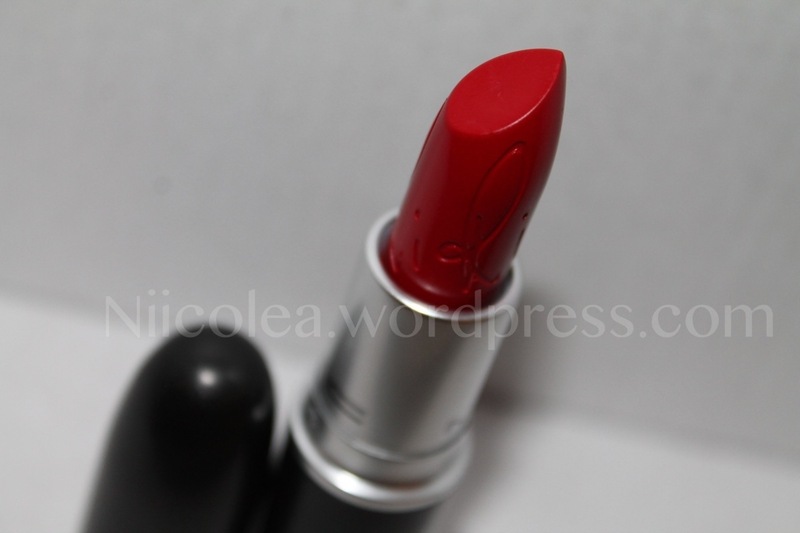 After having waited for Rihanna’s lipstick RiRi Woo for a few days, I finally got the lipstick yesterday in the mail. I am so exicted to show you how it looks and to share my thoughts about it. RiRi Woo is a gorgeous classic red lipstick with a blue based undertone and as this lipstick has a Retro Matte finish the lipstick is very matte and has a slightly dry texture. 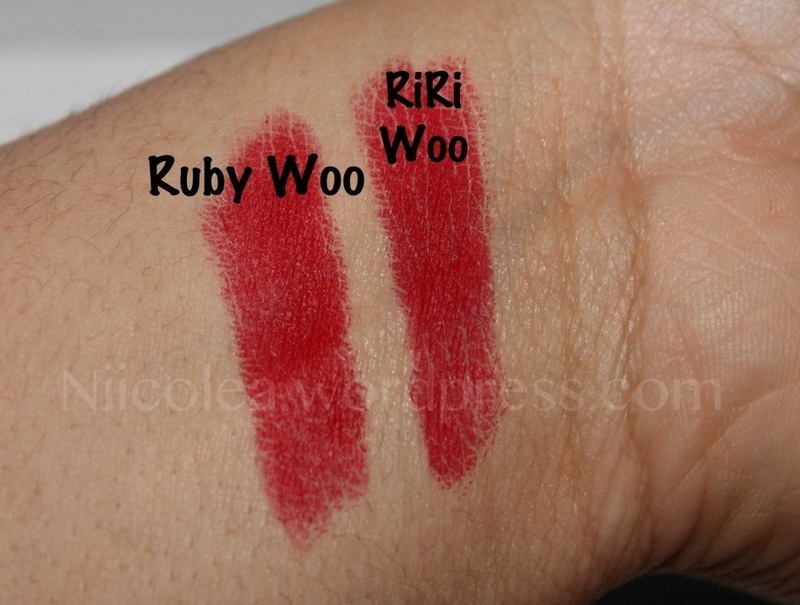 Being that RiRi Woo is based on MAC’s Ruby Woo lipstick, these lipsticks are almost identical. RiRi Woo has a slightly deeper and cooler tone, however when applying it you can’t tell the difference of the two shades. The only difference which is noticable is the finish and the texture of the lipsticks. 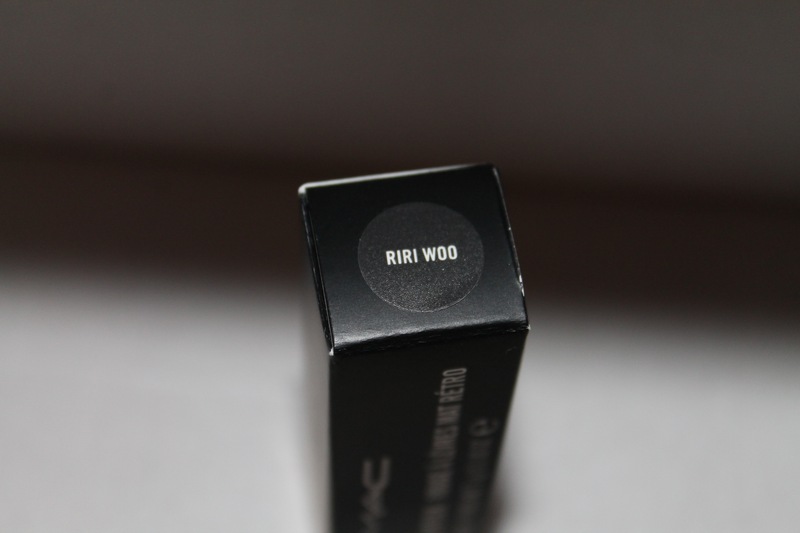 RiRi Woo has more of a matte finish, it’s dryer and has a waxier texture than Ruby Woo. I actually prefer matte and dry lipsticks, simply because they usually last longer on the lips and I don’t have to worry about reapplying it as often as I would with glossier finish. Being that RiRi Woo is blue based it makes the appearence of much whiter teeth which is always good. Overall I love this classic red lipstick, but even though I didn’t expect RiRi Woo to be a totally different shade, I personally feel like Rihanna could have created a new and unique shade that stood out more. However I’m glad I ordered it because I think you can never have too many red lipsticks plus I’m a huge Rihanna fan. What do you think of this lipstick? Ooh love this color on you, simply stunning! Love the rest of your makeup and styling with this, too. I too don’t understand why Rihanna would make a color so similar to one that she already loves. It might have been more interesting if she created let’s say a gloss, nail polish, blush, shadow etc based on Ruby Woo since she loves it so much. Thank you! 🙂 Excatly! that would’ve been much more fun I think! It basically looks the same to me however, I did really which with the new lauch they would have at least come with a special packaging besides those which are to be release later during the year. I am a huge Ruby Woo fan! it’s gorgeous..base on your swatches, it looks like Riri woo is deeper either way it looks good on! Yes! I think is a beautful red color! I think it looks the same but you are right a girl can never have many red lipsticks. Yep they are pretty much the same but love my red lipsticks!! Love the rich color of this lipstick and looks so gorgeous on you! Really! Bought of them are really dry and matte anyway 🙂 which I like!! I’ve heard about this lipstick and I knew it was gonna be veeery similar to the classic Ruby Woo. Yes love all my red lipsticks anyway 🙂 have a nice weekend! It looks great on you, but I understand your point about it not being too much different from Ruby Woo. The formula may be a bit better as in, it stays on longer perhaps? She is a performer after all, and a matte texture and better staying power is definitely important for an entertainer. Also for photos. I’m a huge red lip lover, so I’ll be checking it out as well. Thanks for the review! I like it! But I don’t like my lips in red…don’t know why! Oh really! 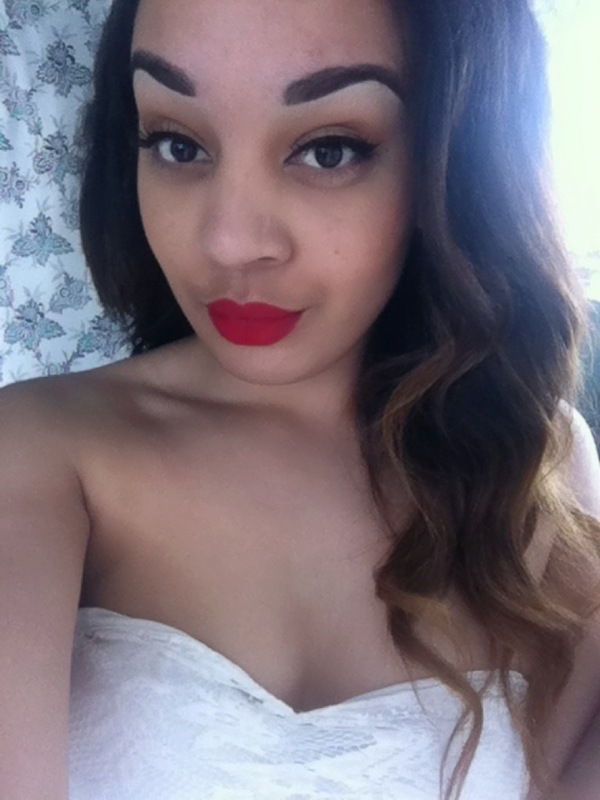 I love red lipstick! Love! I was debating on if I should have gotten riri woo…I’ll have to see if they’re still available! You def should love this lipstick!! Nicole! girl i already missed you around!! Hope youre well. Love the lipsticks. So bright & fun. This is the perfect shade on you! I adore cool matte reds. That’s such a lovely colour, really suits you. Strange that she went for a colour so similar to something they already sell. I love that red on you! It is perfect!! Thanks for this post, I’ve been looking for a good review on these particular lipsticks! Lipstick really suits you! Love the post!